After pausing the Children’s Miracle Network Hospitals fundraising campaign to focus on relief efforts from the devastating Hurricanes Harvey and Irma, the greater Baton Rouge area Walmart and Sam’s Club stores are re-launching their campaign to support Our Lady of the Lake Children’s Hospital. Between September 21 and October 29, Walmart and Sam’s Club invite all of their customers to join in support by making a donation to help build the new freestanding Our Lady of the Lake Children’s Hospital. See drone footage of the children’s hospital construction taken September 19, 2017 below. 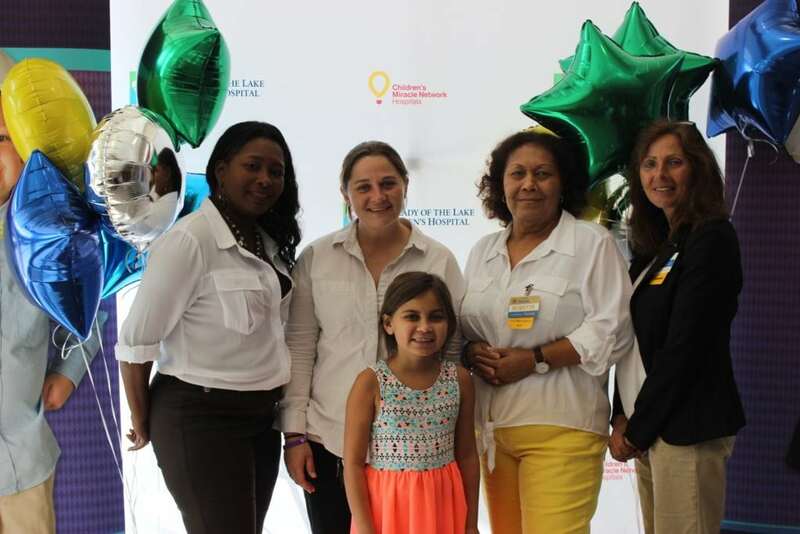 Walmart and Sam’s Club are celebrating 30 years of their partnership with Children’s Miracle Network Hospitals. Over the last 30 years, Walmart has raised nearly $1 billion for Children’s Miracle Network Hospitals across the United States and Canada. Madisyn Duet, age 10, celebrates with the Walmart team at the Walmart and Sam’s Club Campaign Kickoff. Sam’s Club Managers join in the support of miracle kids, like Madisyn. 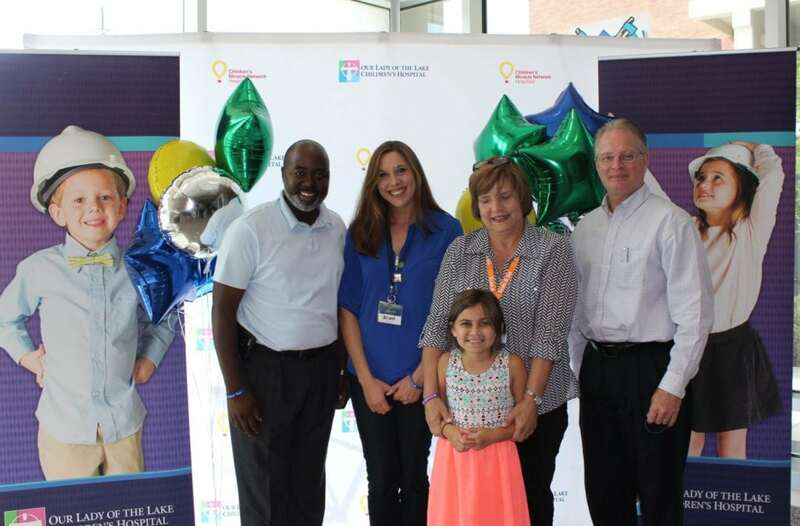 At the original Walmart and Sam’s Club campaign kickoff in August, James Winchester, Regional General Manager for Walmart Region 13 inspired his team with a personal story about what children’s hospitals have meant to his family. “There is no greater cause that we could support than our children’s hospitals. Let’s do everything we can to raise as much as we can for these kids!” Winchester exclaimed. Several Walmart and Sam’s Club vendor partners are also supporting the campaign. United Networks of America, the parent company for Louisiana Drug Card, makes a donation to Our Lady of the Lake Children’s Hospital every time the Louisiana Drug Card is used at Walmart, Sam’s Club, and other participating pharmacies in the Baton Rouge area. Learn more about Louisiana Drug Card’s partnership here and download your free card today. Louisiana Drug Card proudly partners with Our Lady of the Lake Childrens Hospital, donating each time the card is used at Walmart pharmacies. Coca Cola Bottling Company United, the regional distributor for the Coca Cola Company will contribute a portion of the sales of specially marked Coca Cola distributed products to help the kids at Children’s Miracle Network Hospitals on behalf of the Walmart stores. 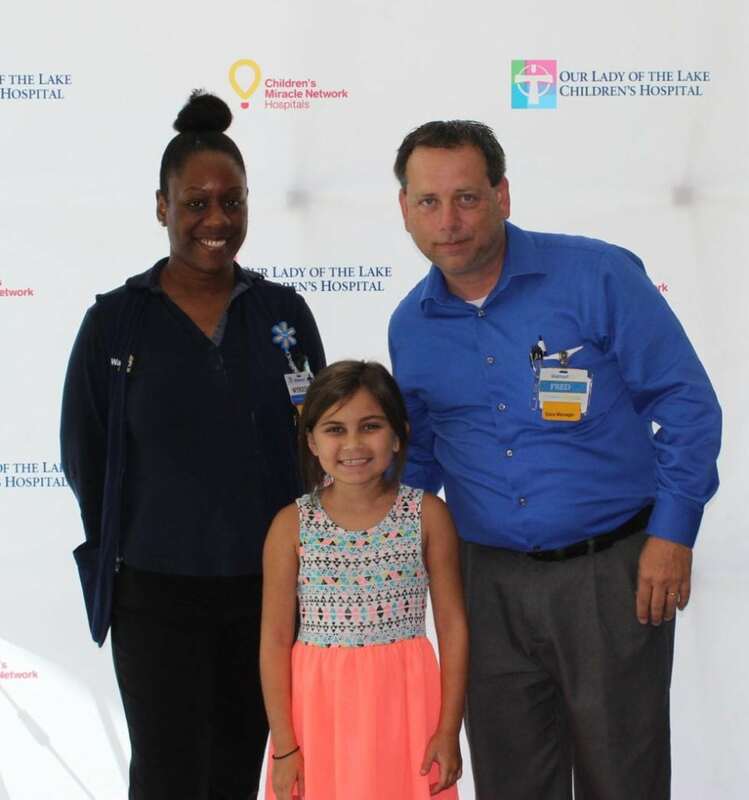 Read more about Coca Cola’s support of Our Lady of the Lake Children’s Hospital here. Representatives from Baton Rouge Coca Cola support the Walmart and Sams Club campaign to help build the new childrens hospital. Red Bull, locally distributed by Crescent Crown, also contributes a portion of sales of its specially marked products at Walmart and is proud to support Children’s Miracle Network Hospitals nationally, and locally the building of the new Our Lady of the Lake Children’s Hospital. Representatives from Red Bull help give the Walmart Campaign wings by donating portions of proceeds of specially marked Red Bull Products sold in stores. Every donation matters and adds up to make miracles for kids across the Baton Rouge area. You can donate at any of the 31 local Walmart Supercenters, Neighborhood Markets, and Sam’s Clubs between September 21 and October 29. All proceeds from the campaign will be designated to help build the new freestanding Our Lady of the Lake Children’s Hospital, located between Essen Lane and Bluebonnet Blvd, visible from Interstate-10 in Baton Rouge, LA. Next post: Everyday heroes complete NY/NJ Torch Relay!